I’d done a series of illustrations of Ray Bradbury’s “A Sound of Thunder” back in high school, which I posted here earlier. 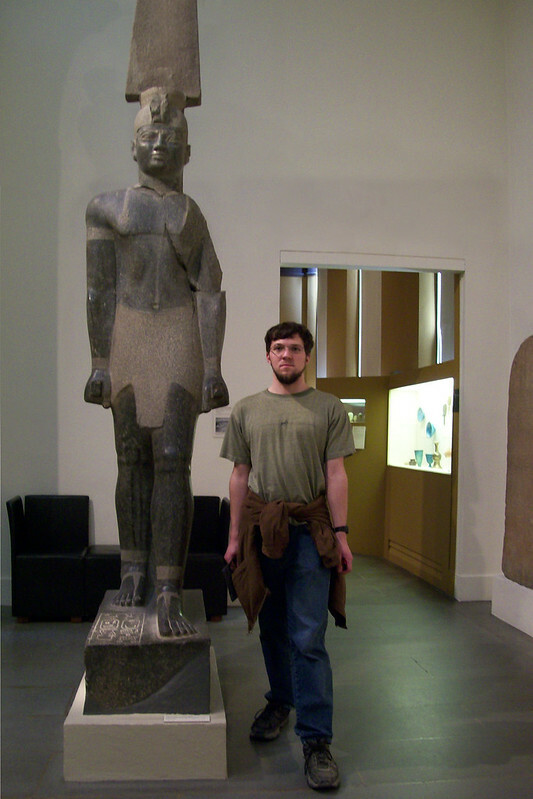 This is a more detailed work I created while in college. I thought I ought to post it as well. 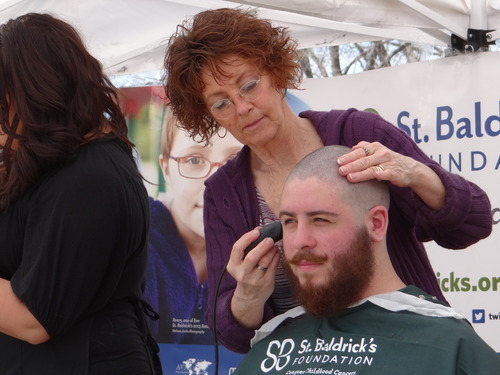 Wednesday was UMaine Circle K’s Third Annual St. Baldrick’s on Maine Day, and it was a pretty fantastic success. Circle K is the Kiwanis-affiliated collegiate service organization, not the gas station. 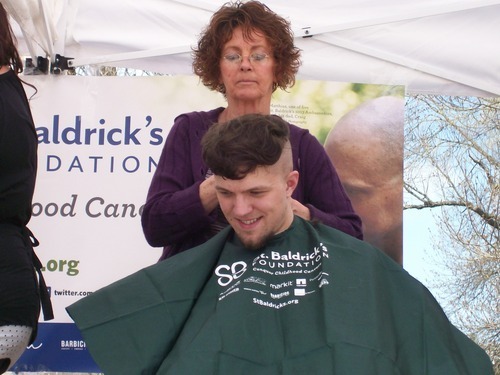 The St. Baldrick’s Foundation is a charity which raises awareness and funding for the fight against childhood cancer with head-shaving events like ours. 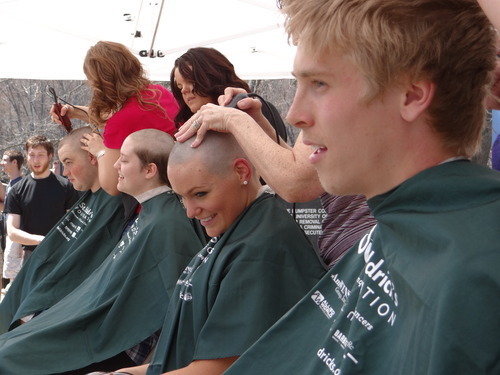 Since the first heads were shaved in 2000, over $100 million dollars has been raised to support life-saving pediatric cancer research. Maine Day has been the University of Maine’s yearly day of service and outdoor fun during the last week of classes since 1935. 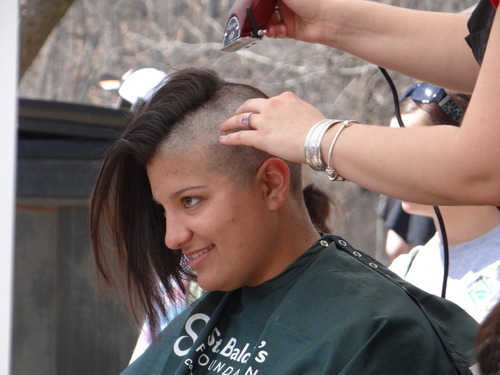 We had 110 people shave their heads and we raised $12,480 to fund research for treatment of childhood cancer. I personally was able to raise $135 thanks to the generosity of my relatives and a couple of Mom’s colleagues. All three years I’ve managed to raise more than the year before. Thanks so much to everyone who donated. 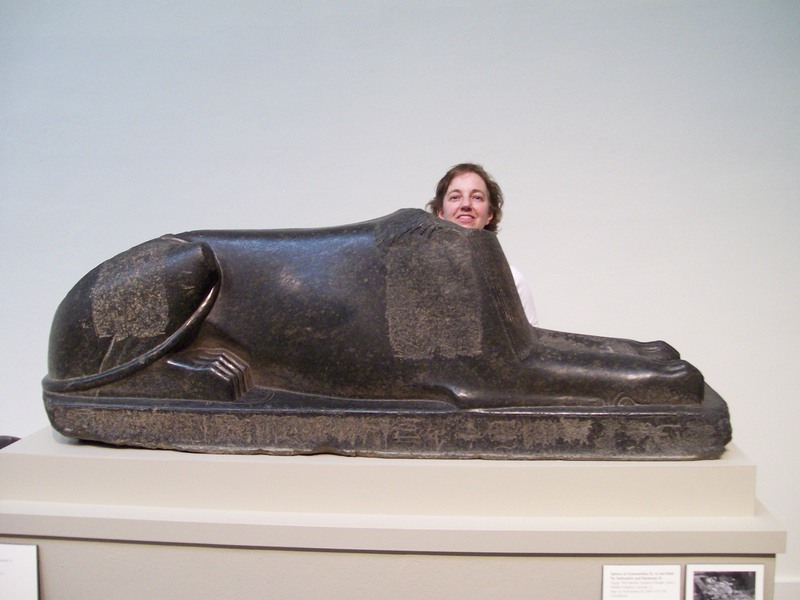 And my fundraising page is here, if anyone would still like to make a donation – it’s not too late. 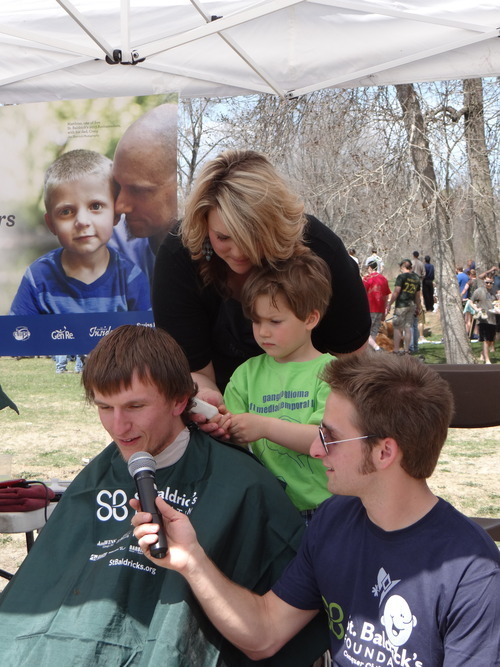 This year, we got to see firsthand just what a great cause we’ve been supporting these past three years. Five-and-a-half year old Thiago came to the event and his mom, Johanna Barrett, spoke to us about his fight with brain cancer. When it comes to treating something as terrible as cancer in a child, even the smallest advances in treatment can make a world of difference – like the new, less painful IVs that have recently been developed. 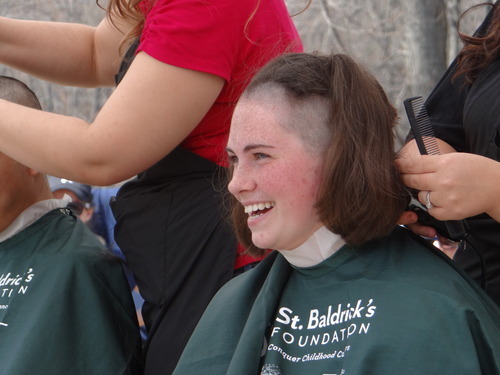 Thiago and Johanna came with Travis Blackmer, a UMaine grad student who shaved his head in honor of his young friend’s struggle with cancer. Thiago adorably helped shave Travis’ head, and then adorably helped vacuum up the cut hair piling up on the ground. You can (and I highly recommend you do) watch Johanna, Travis and Thiago on this segment from CBS TV 5.
head with some help from one of our volunteer barbers. May all the peace and joy of the season be yours.